Having worked in the wine industry for a while, Angela already knew a few people working at PondView. 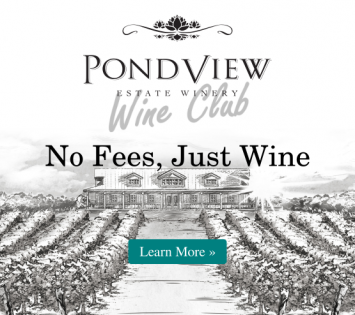 When they asked her to join the PondView team, she was keen to take part in the challenges and rewards of working for a newer winery; she loved the idea of working for a smaller company, where everyone was treated like part of the family. I started in viticulture back in 1998, after finishing college, with a summer job in the retail store at Cave Spring Cellars. Once I’d had this small taste of the industry, I knew it was something I wanted to explore further. Shortly thereafter I became the Administrative Assistant at Pillitteri Estates, quickly moving up to Administrative Manager in Exports & Logistics. Playing all these different roles has given me an extensive understanding of winery operations; ideal for my role here at PondView Estate. It also helps that I love wine! My favourite wine changes regularly, depending on my mood. But I find that for white, I tend to lean towards a Riesling, and for red, the Cabernet Merlot. One of my favourite things about working at PondView Estate is walking into work in the morning, seeing the sun rising through the vines, listening to the birds chirping, and smelling the grapes. It’s always lovely. My personal pick, out of all the incredible PondView wines, would be the Gewürztraminer-Riesling. It's delicate and fresh, and I love the fruity undertones. A (very) close second is the Cabernet Merlot Reserve, for its rich warmth. Both of these wines are perfect for having a handful of good friends over for great wine, delicious food, and lots of laughs. Note: There will be lots. I’m incapable of cooking for only 1-2 people. This is where freezer containers come in handy, or have lots of friends over. Put 2 cups of rice into a pot with double the water (you can substitute broth for the water to add flavour, or add a tbsp of butter. Or both!). Bring to a boil, then cover and turn the heat to low for 25-30 minutes (longer if you're using brown rice). Brown some ground beef in a BIG pan or pot. Season to taste (salt, pepper, onion powder, Italian seasoning etc.). Dice bell peppers, sweet onions or shallots, and mushrooms, and add the vegetables to the meat, along with 1 tsp. minced garlic (or more! mmm!). Once the onions have become a little translucent, add the spicy red-pepper sauce, a can of corn, and a can of kidney beans. Simmer on low, stirring frequently, until the rice is done. When the rice is done, thoroughly stir it into your pot of meat sauce, and serve! This makes a great one-pot meal! Enjoy! P.S. My recipe comes to 2800 calories for the entire pot. I measured it out to 14 flat-measured cups once it was done, which equals 200 calories per cup.